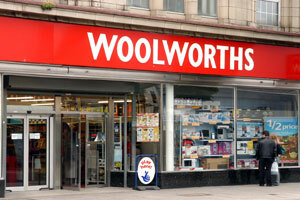 Struggling high street retailer, Woolworths, has announced that it will return to profitability in the current year. But the declaration did nothing to ease investors fears, particularly as the company refused to publish like-for-like (lfl) sales numbers for the Christmas period. Woolworths has in the past disclosed lfl sales for the six weeks to mid-January, but yesterday only revealed figures for the 49 weeks to January 12, which showed a 3.9% fall in lfl sales in its core retail division. Chief executive, Trevor Bish-Jones, said in a trading update: "Christmas was a very challenging time for the group. "We are pleased that the progress made across the group through this year is expected to lead to an improvement in profitability, including Woolworths Retail returning to profit." Yesterday, shares in Woolworths plunged 20% to an all-time low of 8p.